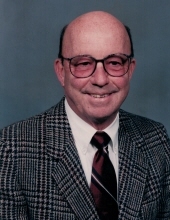 KINGMAN – Thomas James Stein III, 88 of Kingman, Indiana passed away at 5:05 am Tuesday, March 26th 2019 at the VA Illiana Health Care facility in Danville, Illinois. He was a retired farmer and guidance counselor at the Rockville Correctional Facility. Tom was born May 18th, 1930 in St. Louis, Missouri to the late Thomas James Stein and Marguerite Wilbert Stein. Survivors include his children, Tom (Rhonda) Stein of West Lafayette, George Stein of Lafayette, Scott (Barbara) Stein of Fishers, Elizabeth Hunter of Pineville, North Carolina, and Rebecca (Dean) Cunningham of Rockville; two sisters, Barbara Burg and Mary Beth Peterson; eleven grandchildren and four great grandchildren. He was preceded in death by the mother of his children, Beverly Lewis Stein, his companion Betty Porter, a twin brother Jim Stein, and his grandson T.J. Stein. He served in the United States Army during the Korean war, graduated from St. Louis University High school, then earned his Bachelor of Science degree in Business Administration from the University of Missouri. He was past president of the Parish Council at St. Joseph Catholic Church where he helped facilitate the construction of the new church, was a member of the Veterans of Foreign Wars Paul Taylor Post 1752, and a constituent of the Rockville Rotary Club. A funeral mass will be held at 11:00 am Saturday, March 30th at St. Joseph Catholic Church, 201 E. Ohio Street, Rockville, Indiana with Father Varghese Maliakkel officiating. To send flowers or a remembrance gift to the family of Thomas James Stein, please visit our Tribute Store. "Email Address" would like to share the life celebration of Thomas James Stein. Click on the "link" to go to share a favorite memory or leave a condolence message for the family.